Alemany: "I can not understand that the RFEF alter competitions without consulting LaLIga, I thought that things today were not done that way". Mateu Alemany criticized the form and substance of the RFEF, specifically its president Luis Rubiales, regarding the decision to alter the format for the season coming from the Super Cup and Copa del Rey. 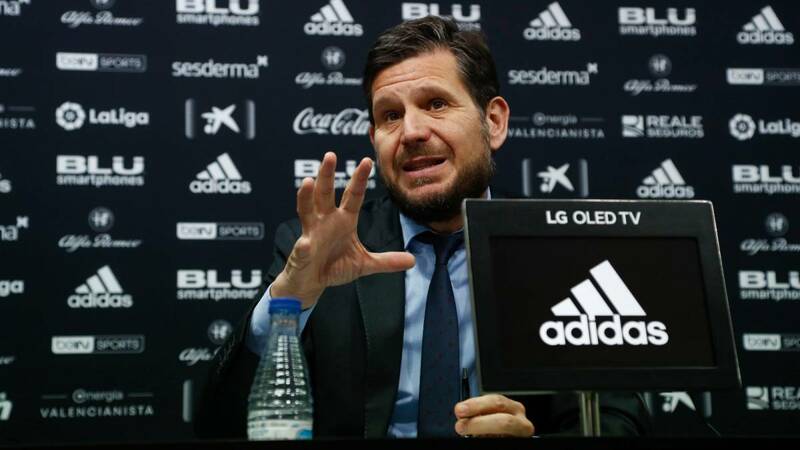 The general director of Valencia showed his discomfort both for having reported a change "through the press and without consulting the clubs, which are the ones involved" and also for "changing in April a Supercopa format that would affect us" . "I can not understand how the RFEF varies the competitions without consulting LaLiga or the clubs involved, in the case of the Supercopa we are directly affected, Valencia is expected to compete in the summer in this tournament, which is one of the three that are disputed in Spain, and in the month of April someone has had the idea of changing that format, I miss, and I insist, without consulting, what surprises me more, "said Alemany.
" We are directly affected and the Valencia is going to defend its interests. There is a LaLiga Assembly prior to the Federation, where we will deal with the issue, and it seems that the Federation tries to dispose of the competitions 50 years ago, without consulting LaLiga. What goes for the Supercopa goes for the Copa del Rey. A someone has thought that it is a single party. Will you have to consult it or are we going to make changes without the opinion of the clubs? ", apostilló.
" Those affected in a competition should have a voice and they are legally authorized, but we are at a time when I thought I was not they did things that way, finding out from the press they sound like other times, "he said.